Home / Asian Tigers / Bola Ahmed Tinubu / Hong Kong / Politics / Singapore / South Korea / Do we need more of Tinubu’s Tigers? Do we need more of Tinubu’s Tigers? For a long time I wondered at the term “Asian Tigers”, whenever I come across it in different kinds of literature. In the chrysalis of my imagination, I made conjectures about the meaning of the phrase. But one day, I took time to do a little research, and that ended my wrestle with the enigmatic expression. Asian Tigers, also referred to as Asian Dragons, are four in number: Hong Kong, Singapore, South Korea and Taiwan. The world was mesmerized between the early 1960s and 1990s, when these four countries grew phenomenally into high growth economies and evolved into highly developed countries with a remarkably educated and dynamic workforce. Within a space of three decades, the four tigers experienced an astronomical growth which they have somewhat sustained. Aside from the fact the tiger is the biggest specie of the cat family, I also learnt that the tiger uniquely symbolizes strength and power in the Asian culture, hence the phrase “Asian Tigers”. Coming from Asia to the African continent, to the world’s most populous black nation, Nigeria, which interestingly gained independence in 1960, the same year the Asian tigers started taking their quantum leaps, one is faced with a paradox. How can a resource-rich republic still be in the grips of poverty? For a country that will be celebrating six decades of political independence in 2020, development has been at a snail's pace. At the centre of this negative narrative is the dearth of visionary leaders and absence of good governance. Since independence, we have had a lot of leaders at the federal, state and local government levels but no clear-cut and consistent developmental progress has been made. At a point in our history as a nation, the Western Region headed by Chief Obafemi Awolowo was arguably the most advanced in terms of development. Free education scheme was introduced; free health care for children; first television station in Africa was built; the first skyscraper in tropical Africa: the Cocoa House; the Nigerian Tribune, the oldest surviving private Nigerian newspaper founded plus many other achievements. As recently noted by social commentator, Bola Ahmed Tinubu took over from legendary Awolowo as the political chaperone of the Yorubas. Another columnist described him as ”…the toast of Nigerian politics; the man who had stitched together the contraption called the All Progressives Congress, APC, almost single handedly, to score the first major upset of a sitting African President. 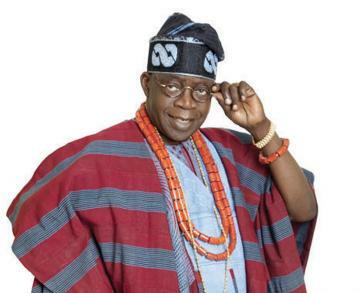 No exaggeration of his political sagacity and his brilliance and strategy was regarded as excessive…” If there is one political colossus that has a tremendous number of followers, admirers, mentees, it is Tinubu. No one is saying he is a saint. How many saints do we have on Nigeria’s political firmament? After Awolowo, there’s hardly any other Yoruba figure that has magnetized a fantastic followership across the nation. Fondly called “Jagaban” or “Ashiwaju”, his political sagacity, philanthropy, negotiating skills, peacemaking and ability to identify potential are attributes that have endeared him to the populace. Critical to this piece is Jagaban’s forte with spotting, refining and releasing a talent. From 1999, he started making conspicuous moves and concerted efforts to audaciously change our negative narrative by introducing his protégées - a streak of transformational tigers - into our political space. Tinubu’s mesmeric ripples started with the commissioners he selected as Governor of Lagos State; the appreciable progress witnessed in the state over the years even after he left power has proved that he could spot talents. Ability to perform was more important than religion and state of origin. Tinubu brought his former Chief of Staff, Babatunde Raji Fashola, came to the fore despite the torrent of reservations. History is a witness that Fashola set a new paradigm for governance in the country. Hitting the ground running with Tinubu’s template, he and his team made giant strides across different sectors. At a point, people were coming from other states to learn the secrets of governance in Lagos. Fashola was the poster boy of Buhari-Osibajo’s successful election campaign and his voice was believable. He sold the APC’s message of change, the electorate bought it. Just when people were wondering who could step into the sagacious shoes of Fashola, Akinwunmi Ambode came on board and has silenced critics with his amazing developmental drive across the state, particularly in the area of road infrastructure. As I noted in my earlier piece titled Dividends: Brightening up Democracy, “…Ambode comes across as a leader with a burning desire to make a colossal difference, though he has focused heavily on road infrastructure – a smart decision. People like to see tangibles. With visible road projects, it is very easy to score cheap points with the electorate. This is not say that Ambode has not recorded milestone achievements in other sectors. This writer does not wish to repeat the long list of his laudable landmarks or the litany of reasons advanced by his teeming second-term endorsers but one accomplishment that is in right in the face of everyone is the delightsome improvements in transport infrastructure. His consistency in this direction is noteworthy considering the positive multiplier effect on the standard of living of the people and commerce, generally speaking.” Ambode’s vision is toward building Lagos into Africa's third largest economy by 2020. By and large, Tinubu’s talents are making impact in the South West and beyond. This is not to say that they have addressed all the teeming problems but their approach to governance is always positively different. Apart from the likes of Vice President Prof. Yemi Osinbajo (SAN), Babatunde Fashola, Akinwunmi Ambode, Abiola Ajimobi, Ogbeni Rauf Aregbesola and Dr. Kayode Fayemi who are perceived as Tinubu’s protégées, there are many others - unsung leaders, technocrats and influencers - that are making their mark at the federal, state and local government. Leaders who cannot mentor and raise good successors have missed the whole point of leadership. Some have argued that Tinubu imposes candidates during primaries, that he does not follow the principles of internal democracy and seeks his own interest(s). Others have said that he has converted Lagos to his personal estate, that he has undue influence on his protégées who are at the helm of affairs. Some people have called them stooges, but then, one is forced to ask if there is any phenomenal political personality without loyalist-followers? If Tinubu’s stooges have been making a notable difference, maybe we need more of his stooges in power. Undeniably, Tinubu must have his weaknesses, just like any man but his strengths have definitely done some good, not only to Lagos, but also to the country. As election beckons, voters should exercise their sense of judgment to vote for the right candidate that has the credentials and character to deliver dividends of democracy. But if you ask me if we need more of Tinubu’s transformational tigers, I will answer in the affirmative. Our teeming problems may not be resolved in a jiffy but with a crystal clear developmental vision and the right people in power, we will soon join the Asian Tigers’ league. Idowu Omisore writes from Lagos.